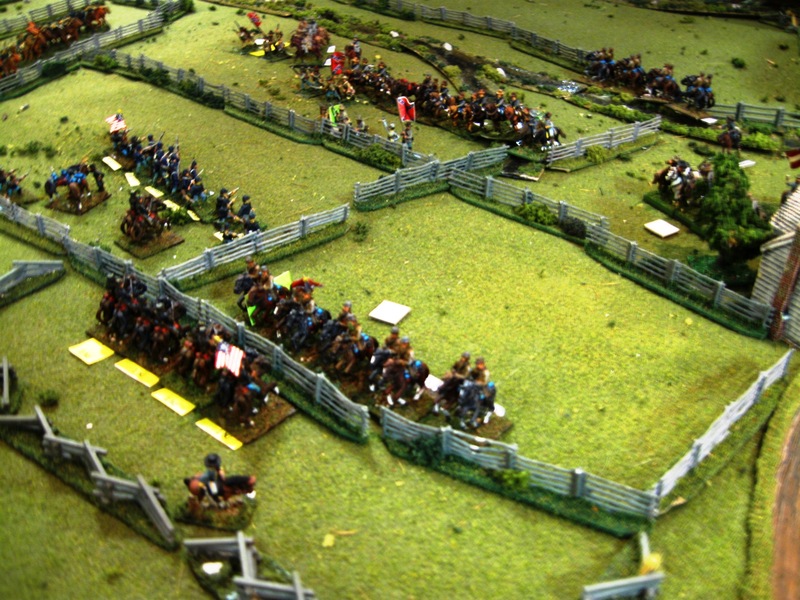 Virginia dismounted cavalry approach the Rummel Farm. Custer’s Michigan Wolverines man the Federal skirmish lines in the left center. 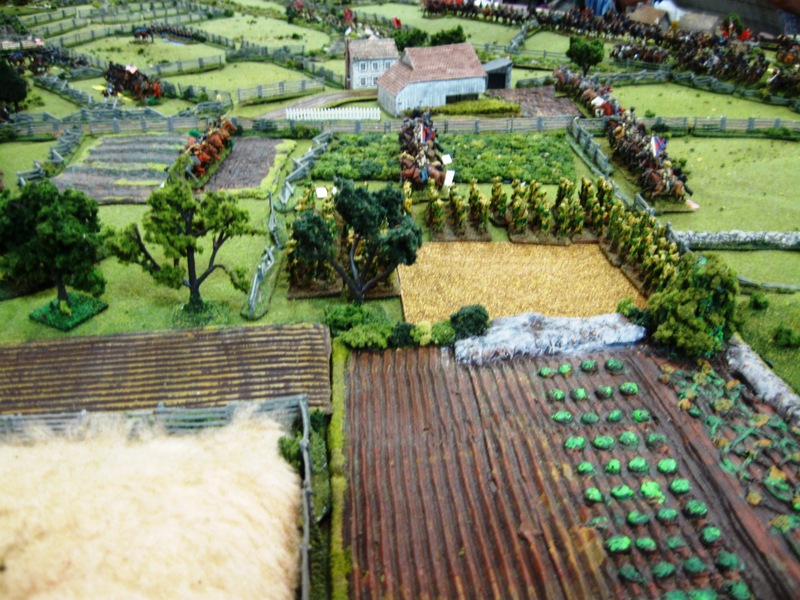 In the foreground are some of McIntosh’s brigade. 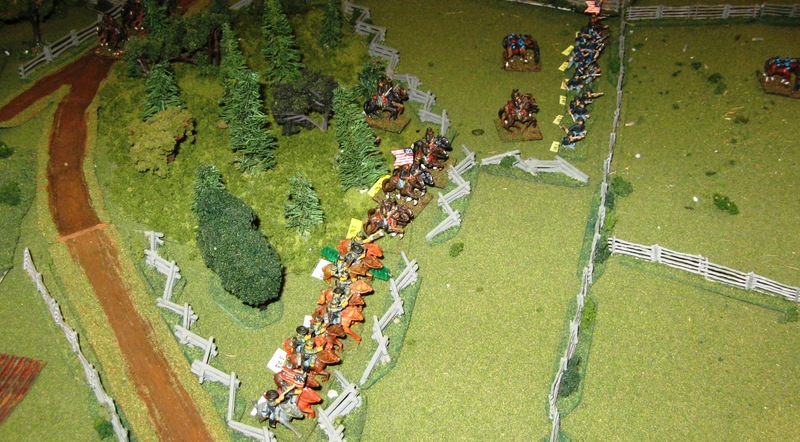 Here is a part of McIntosh’s rather small brigade at the start of the game in the Lott Woods. 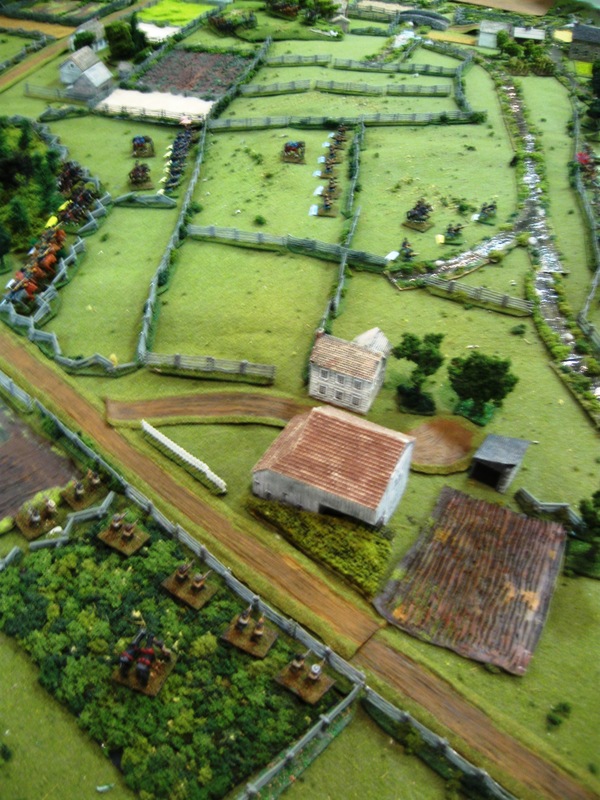 Low Dutch Road in at the left bottom. 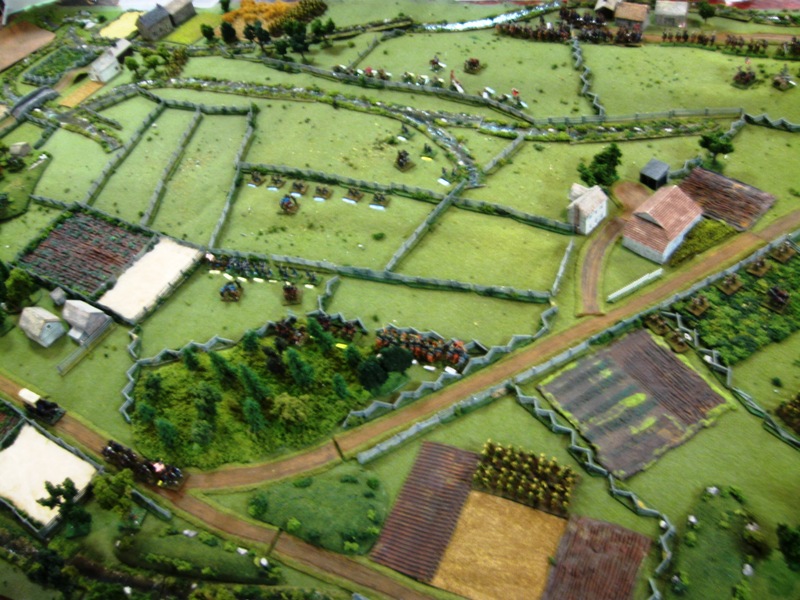 Looking to the southwest toward the Rummel Farm (right center) and Cress Run. Very nice Scott, thank you. Another super game Scott — thanks for running it and I had a great time!! Looks very nice and the out of focus pics are not so bad where you cannot make out how great the table looks. Are those 10mm buildings? (Russel Farm, etc). Time Cast?